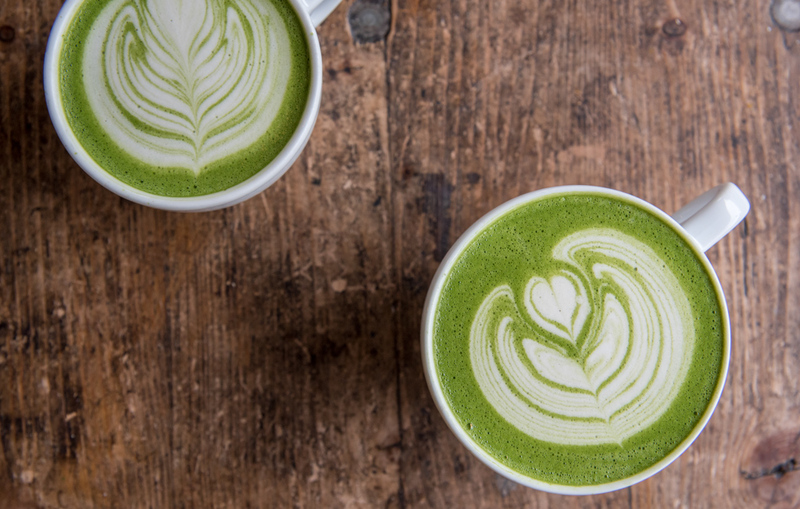 It’s official: London, the heart of the tea trade, is in love with matcha. 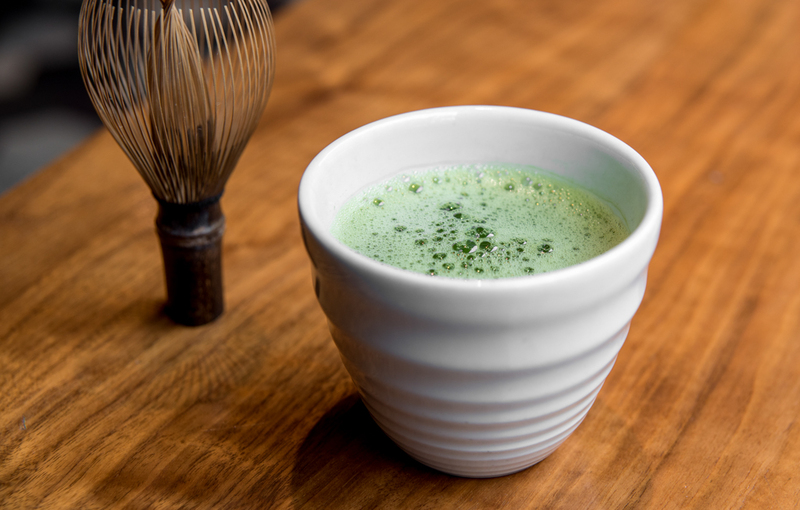 Leyla Kazim heads out to meet the artisan companies using matcha and shows where you can get your fix of matcha around London. Specialty coffee house Curator’s Coffee started selling cups of matcha tea back in 2013 when they only had one store. 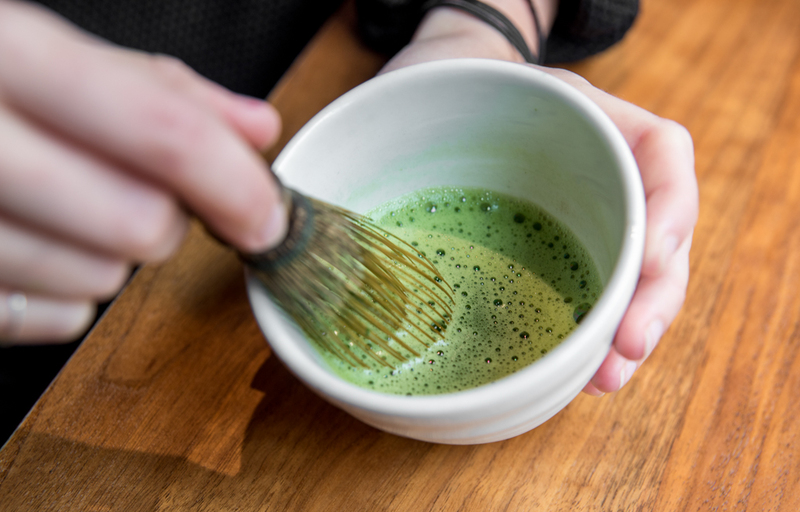 “I was a total matcha novice and put it on the menu as a trial product based on Jameel’s recommendation – I haven’t looked back since,” explains Catherine Seay, part-owner. “There’s quite a social media buzz about matcha which sparks a lot of interest. The bright green colour always gets questions if people haven’t seen it before,” she says. Making a cup of matcha tea takes about the same amount of time as a flat white. “It requires equal amounts of precision and care – 1.5g of matcha powder is a good starting point in terms of how much to use,” explains Catherine. 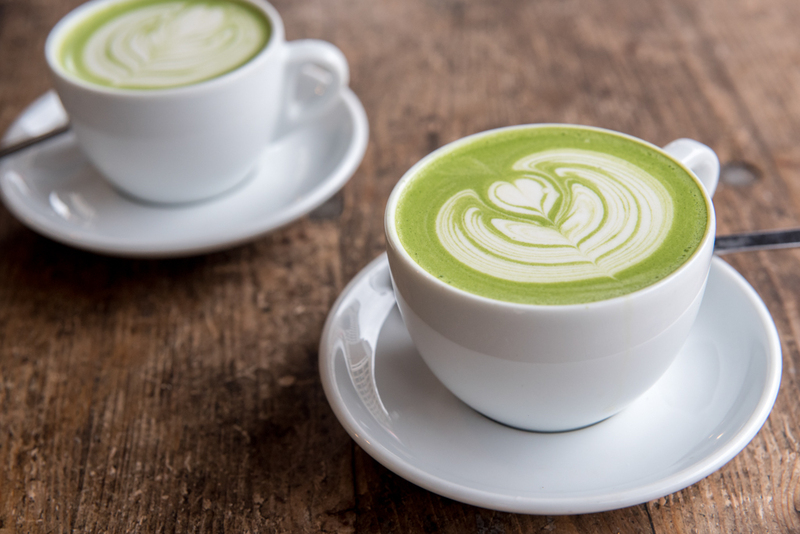 In addition to tea, the two stores also sell matcha lattes, as well as iced matcha tea and iced matcha lattes in the summer. The components needed to make matcha tea at home are also available from Curator’s – both the Lalani & Co Matcha Gold jars, and the handmade bamboo whisks. “We’ve used Lalani & Co ever since Curators Coffee opened. In my opinion, they are the leading experts and suppliers in the UK,” says Catherine. 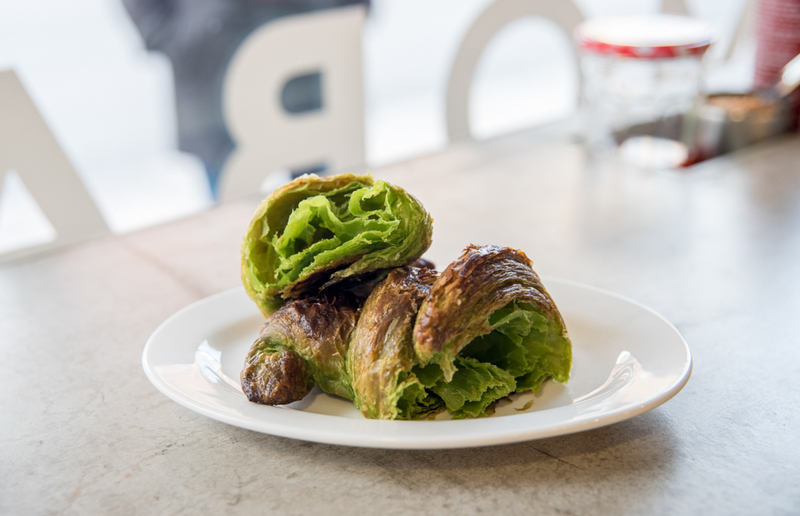 Franco-Vietnamese café MoBa on Goodge Street started working with matcha in food thanks to their interest in creating infused croissants. “After doing some research online, we found that matcha is used a lot in baking and we thought it would be great to try,” says director and co-founder Theodore Charoy. 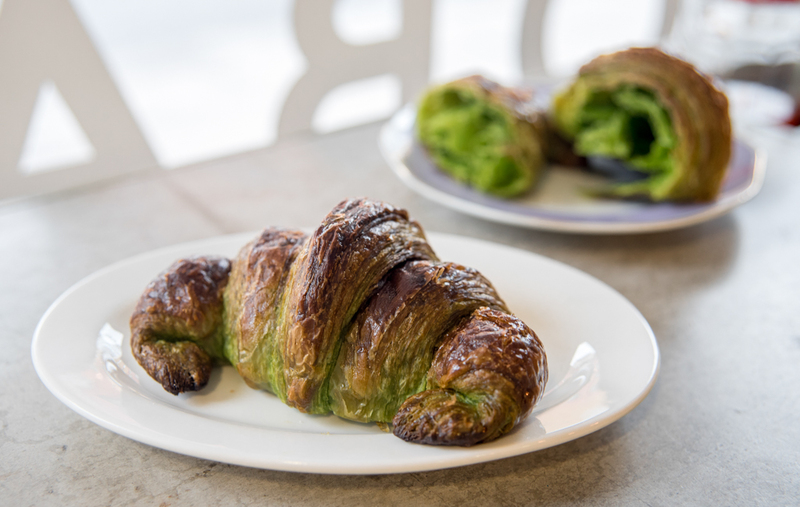 The matcha croissant is fairly simple to make, with matcha powder being added to the dry ingredients that go into the dough. “We also add a matcha syrup glaze to increase the flavour and add even more colour,” says Theodore. MoBa also make matcha tea and lattes, as well as using matcha in brownies and baguettes. “It’s a great product for baking, food and drinks – we love to play around with it. In terms of expanding the menu, we’ve seen some nice looking matcha cheesecakes. So we’ll see,” says Theodore. Nutritionally-focussed lunch delivery service Pollen + Grace introduced a matcha product to their range because of customer demand. “Both our customers we sell direct to, and our clients we sell into – such as the fitness studios and healthy cafés – wanted a matcha based treat,” explains founder Stephanie Johnson. 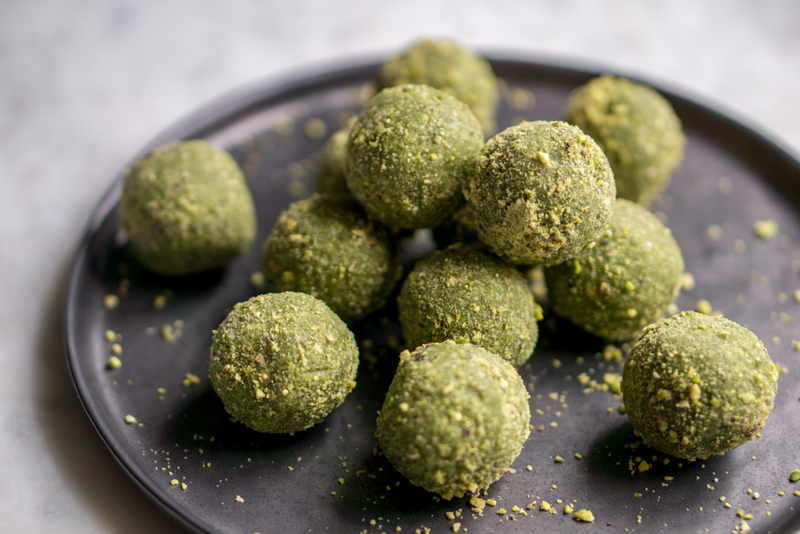 After some research, Pollen + Grace decided to make matcha bliss balls. “A bliss ball is a bite of yumminess,” explains Stephanie. These have a base of cashews and coconut mixed with the matcha powder, and a little honey and filtered water act as the binding agent. Pollen + Grace was recommended Lalani & Co. by two different people within the industry. 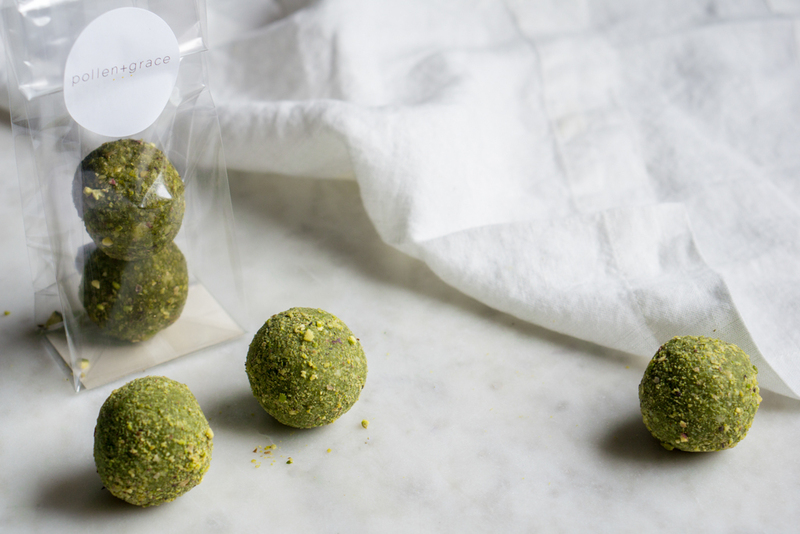 “Both said theirs was the best and that if we wanted to use matcha, this is what we needed,” explains Stephanie. About six heaped teaspoons of the powder goes into making 20 bliss balls, each weighing 25g. “We don’t skimp on the good stuff,” she says. They find customers who are new to the drink often order it because they feel it’s something different they should try at least once. “I reckon 80% of them come back and order it again.” explains Ceiren. Ceiren is a firm advocate of using soya milk over dairy milk in a matcha latte, thanks to the superior mouthfeel and nicer body. “When I’m on the till and selling, I will always recommend the soya matcha latte over the regular. Soya itself is a lot nuttier, so it balances out really well with the matcha flavour,” he explains. 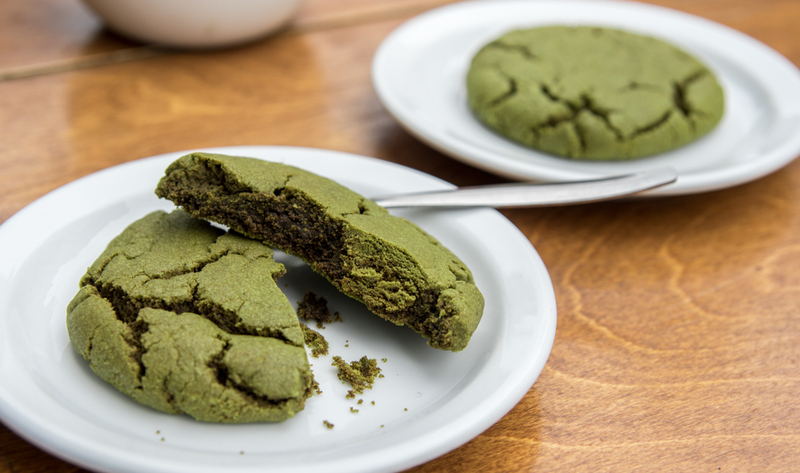 Speciality coffee house Continental Stores were pioneers when it comes to the matcha cookie, being one of the first to make them a couple of years ago. “We wanted to create something different to enjoy with our drinks, by integrating our speciality teas into our cookies,” explains general manager Momo Jelali. The cookie is very popular, with people visiting specifically for the matcha latte and matcha cookie duo. “We have a large Asian customer base who are big fans of matcha, so they were really pleased when we started doing it,” explains Momo. 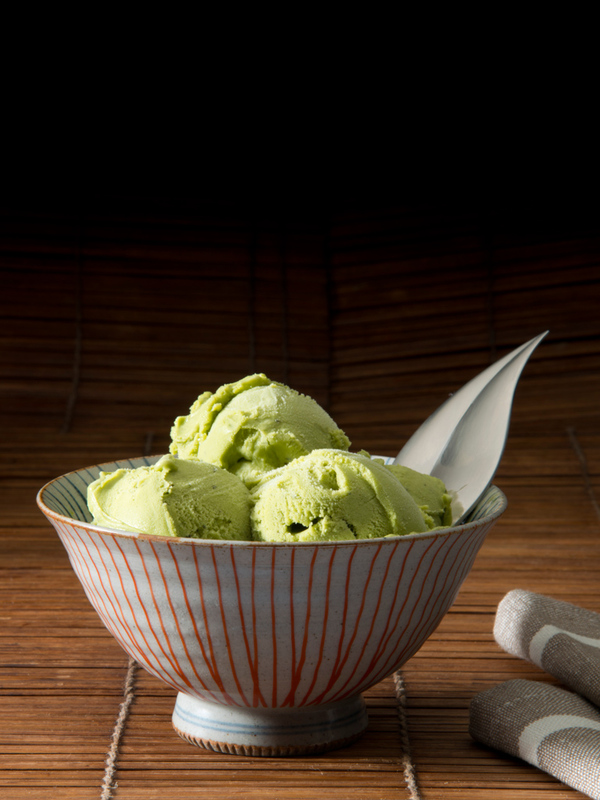 After developing a love for matcha from eating out at Japanese restaurants and travelling around the Far East, ice cream producer Yee Kwan decided to introduce the flavour to her Asian-inspired range, having spotted a gap in the UK market for authentic matcha ice cream. In terms of popularity, it was a hit from the start. 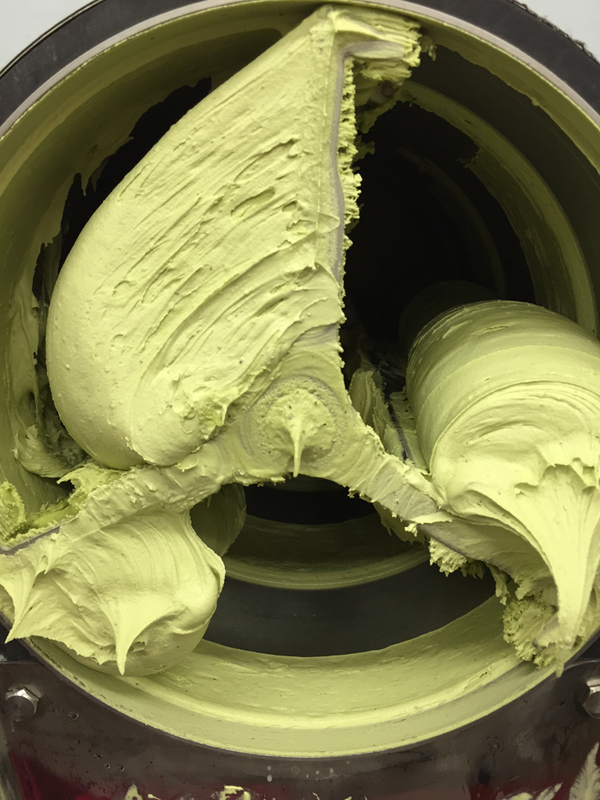 “Our matcha ice cream has been our best-selling flavour every month since we began trading in 2009. We’ve received great feedback and a lot of our overseas customers say it reminds them of home,” says Yee Kwan. Lalani & Co Matcha Gold can be found here.